The Internet has provided us with many opportunities to work from home. 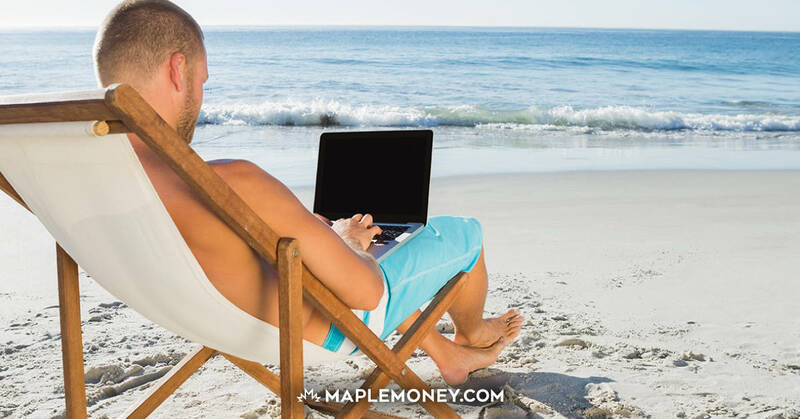 Whether you telecommute twice a week in your job for a “regular” employer, or whether you own a home business, it’s possible to make money in the comfort of your home. But how do you stay on task? There’s something to be said for having a boss on hand to keep you focused on your work. When you work from home, you have to be self-motivated and do what you can to make sure you aren’t always distracted. Internet and social media: When you are connected to your work by the Internet, online activities can be very distracting. It’s easy to just check your email every five minutes, or hop on Facebook. While you might need to engage in social media activities, and check your email, don’t do it all the time. Instead, schedule these activities for specific times of the day. Check your email first thing, then just before lunch, and then again before you finish up for the day. Turn of notifiers that let you know every time a new mail message is received. That can become distracting. Apply the same rules to social media use. Relegate social media actions to specific parts of the day. Kids: Perhaps one of the biggest distractions when you work form home is the kids. Your children want to play with you, and demand your attention in other ways. If you are going to work in your home office, you need to work around this distraction. You can hire someone to help with the kids for two or three hours when you work from home. This can provide you with distraction-free work time. If your children are older, you can make it clear that you have to work for a set period of time, and then you can play with them. Others get used to working while the kids are at school, down for naps, in bed, or when they are playing happily amongst themselves. When you have children, you need to work hard when you have the opportunity. Other household duties: Sometimes, working from home results in distractions in the form of other household duties. You might be distracted by the laundry that needs to be done, or the dirty dishes in the sink. When you are distracted by these items, it helps to schedule in a time to see to them. Set aside work time, and housework time. Or, if you just can’t stand it, tackle the household chores quickly and get them out of the way. Turn off the TV while you work from home, and try not to get drawn in by discussions with the neighbors. Make it clear that you have work time, even though you are at home. And, really, that’s about the best thing you can do: Set work time, and then concentrate on it. It’s been more than a couple of years since I’ve been working from home and although I enjoy the freedom and excitement it gives me, staying focused all the time still remains a challenge. However I adopt the 80/20 rule and try and finish off the most important tasks early in the day so that even if I slack off later, it doesn’t end up hurting me.